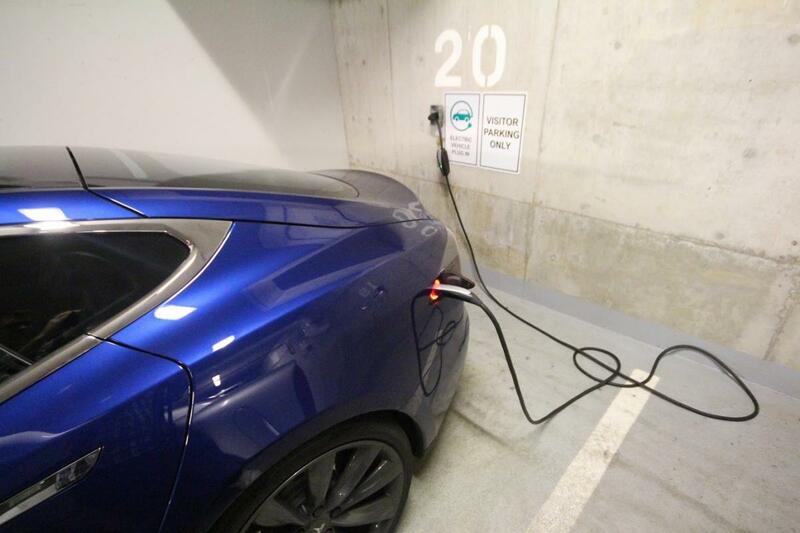 Electric car charging in condo buildings! I see a large problem awaiting many strata corporations in years to come so I thought I would start a thread for discussion. 1/ Only four charging stations (157 unit building). 2/ Stations located in visitor parking spots where visitors always park non-electric cars; therefore, access rarely available. 3/ Very odd choice for plug (Nema 6-20), not many electric cars come with this adapter stock. 4/ Charges a Tesla at only 15 km/h (would need to left plugged in overnight) assuming you order the rare adapter. 5/ Hydro consumption billed back to strata common hydro bill. I wonder what additional electrical capacity newer buildings are built with. 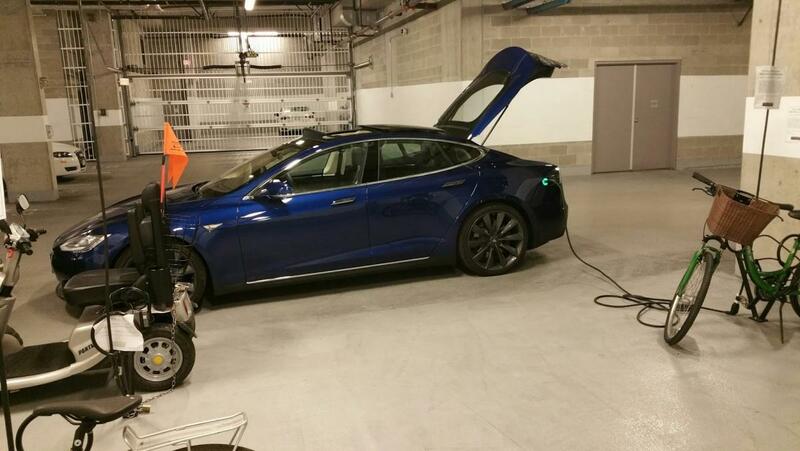 If the load calcs never took into consideration 15-25% of the owners using electric cars, installing additional outlets might not be an option. If we are referring to 120 volt 20 amp receptacles, the code calculating will already be included in the square foot load calculation. If we are referring to the 240 volt 50 amp receptacles, they would be added to the square foot calculation as additional equipment in order to determine the size of the electrical service to the building. I will return to the discussion that Marco and I were having about adding 2-50 receptacles on an existing 200 amp residential service once I have completed my research. Well Promontory certainly has the capability to support 4-6 hour charging stations in each of its parking stalls, but what happened to the initial 10 stations? Simpson said the solution is to have the potential for charging stations wired into the building as it's coming out of the ground and establishing the BosaVolt charging station as an option when buying a condo in a Bosa development. So as the parkade is taking shape at the 21-storey Promontory project, the transformer has been upgraded and the necessary wiring is being installed in the infrastructure of the building to allow as many as 177 charging units to be installed. Bosa will only be installing 10 at the outset. "This is being done so, down the road, if people want to take advantage of the technology, they can," said Simpson. "We are planning for the present and the future with this." Did they leave conduits to each parking spot? There are a few parking spots on P2 or P3 that have some blank cover plates but it is only a handful of stalls. Did you take the power cord away from a bike????? This is a good discussion, and clearly developers are rather lagging in this department. Strata corporations are left with what the developer has built, so you can't blame the strata council (ie., management of the strata corporation). And a strata clearly should not be responsible for providing free electricity for large electic consumers like cars (in many cases stratas do provide free electricity in parking lots to provide power for vacuum cleaners and such). Right now, i think the onus is on the car owner to do their research. If you buy an electric car, you will have to be sure you can charge it on your own, without much support. Don't go out and buy an electric car and expect a strata corporation to suddenly provide your fuel. Edited by JanionGuy, 04 April 2016 - 08:57 PM. Yeah I think all these public charging stations cannot continue for that long. In the end, why should the taxpayers subsidize what is essentially a luxury purchase? Sure I understand the goal of it, but once a significant portion of the cars out there are electric they are going to have to go metered everywhere. Gonna be a ton of work for electricians retrofitting high current chargers everywhere. Yes I did, can't stand bikes. Some guy rolled up to me today on a bike and said, "thank you for driving a Tesla," and I fingered him as I speed off. Edited by MarkoJ, 04 April 2016 - 09:45 PM. 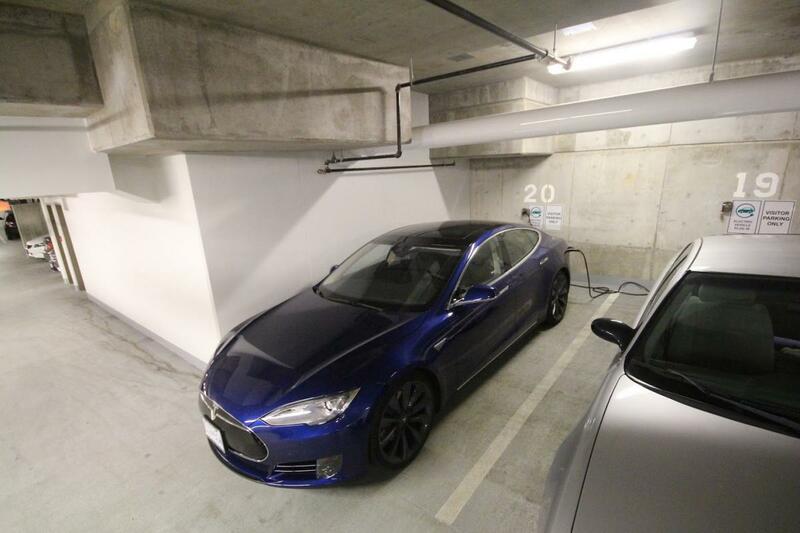 I keep telling my electrician friends to get into the residential/strata car charging niche but no one is listening to me....if Tesla puts you on their website as their "preferred" installer you can probably charge double and get away with it. There has to be a metered solution? A Tesla can go through $500 a year in hydro, doesn't make sense for strata to absorb. I think you meant to put an exclamation on the end of the first sentence, not a question mark! Looks like they have the individual billing thing figured out. That's not actually a bad idea. Stationary bikes that power TV's. You only get to watch while pedaling or the screen fades out. Why did you even bother plugging in?? Edited by lanforod, 05 April 2016 - 12:40 PM. When you spend $100k+ on a car you gotta pinch pennies on the power!